Lip tints and stains are different? Matte lippies have a superior long-wearing quality (they literally will not budge), so you might want to avoid buying these if you have ridiculously dry lips. If you do decide to wear them, be sure to exfoliate and moisturize your puckers first. Lip products that come in a sheer formula don’t offer a lot of color. Most of the time, they just make your lips super shiny. Sure, they're great for daily use, but they don't last very long. 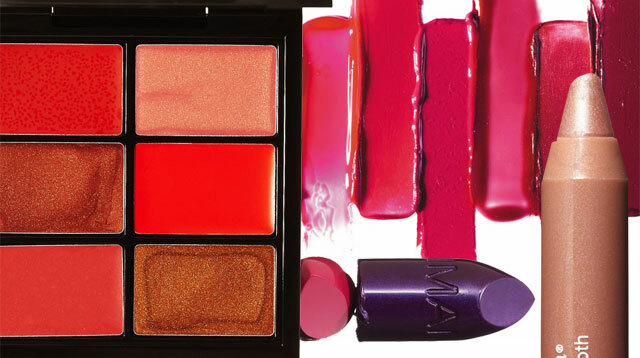 These are great multi-taskers because they double as a stain for your lips and your cheeks. If you have to live with one beauty product for the rest of your life, this is it. These are usually formulated with SPF and have ultra-hydrating properties, too. Also known as the only product you really need in your kikay kit if you have parched lips. Want fuller lips? Layer on gloss over your painted lips—or right at the center—to give your puckers some dimension. Chubby sticks, which usually have a creamy consistency, look like those giant crayons you used to have in pre-school. Use the pointed tip to outline your lips, and then go back to fill everything in. Use this to outline your lips before layering on lipstick. Want a bold color? Use the pencil to fill in your pout, and then apply your lippie. Not only will this technique make your puckers pop, it will make the pigment last through anything, too.